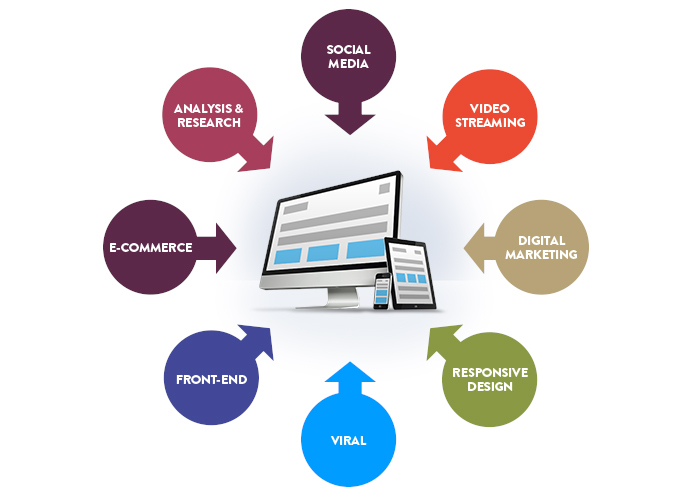 We dedicate all the experience of our multidisciplinary team to help our clients define the best digital marketing strategy, analyze functions according to the needs of their business and suggest alternatives we consider most appropriate. We plan strategically, investigate and share with our clients our success stories and advice, based on our experience over more than 700 projects.  We create, design and deliver solutions used by millions of people every day, across multiple devices and platforms. We seek to maximize every communication support to successfully address different audiences. Our protocol design and layout is governed by pre-established rules of design as responsive, Bootstrap 3, Less, and Sass. 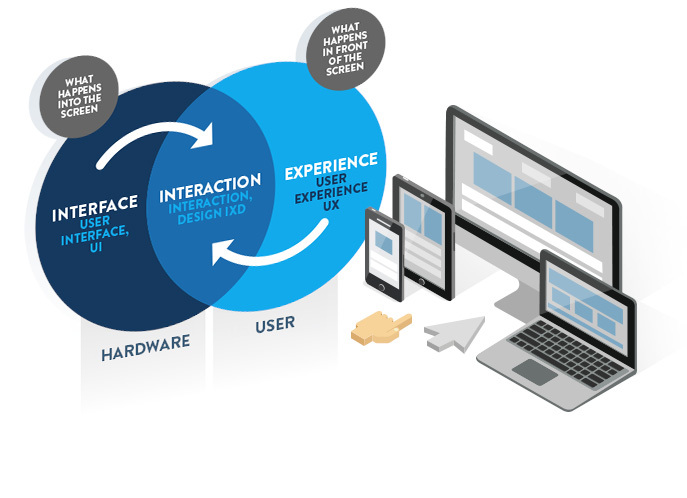 Design user Experience "UX" and User Interface "UI" also represents the confidence that a product can transmit to the user. 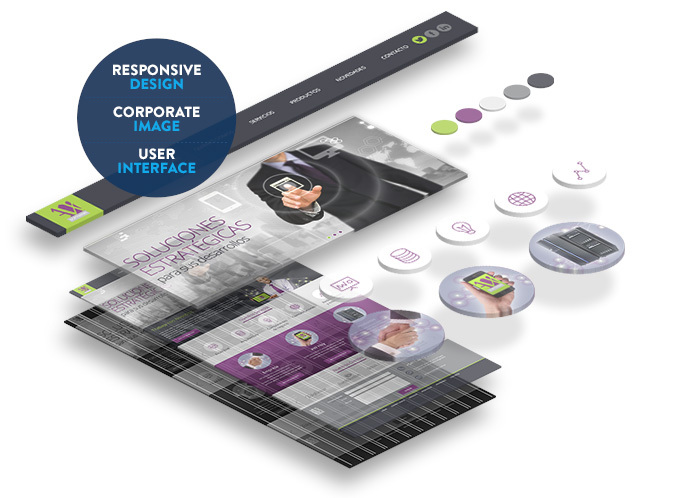 When you design each of the elements of an interface, you take into account the user experience on different platforms. Each platform involves a different process and focus. We routinely performed focus groups, heat maps, A / B testing and click maps to determine the integration of both variables. 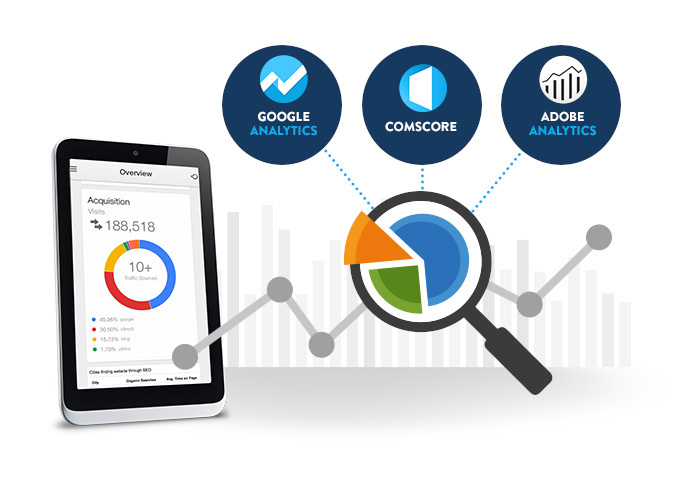 Implementation of traffic measurement tools (Analytics / Comscore / Adobe Omniture) digital dashboards configuration, report suites creation, analysis and interpretation of data and behavior. Given the technological advances of the network, constant optimization of the code of the sites is necessary to obtain more and better data. This makes research and analytics and invaluable tool to help grow the business online. We have developed livestream feed, using different streaming platforms such as Brightcove Video Cloud and YouTube Live Events with Wirecast. 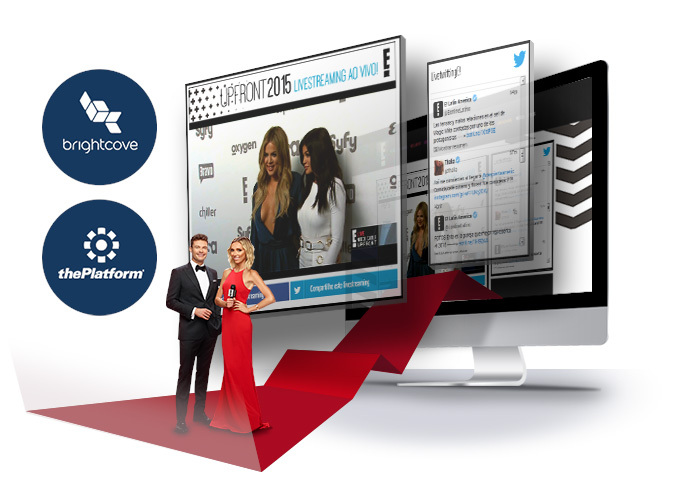 This provides the ability to monitor in real-time audience and maximize the resources provided by the second screen. The public has changed its routine and live events begin to adapt to mobile digital platforms. We develop all Ad-Hoc technology, such as the main market CMS: Drupal and Wordpress; and Fameworks as Symphony, Zend, CodeIgniter and a Angular js. 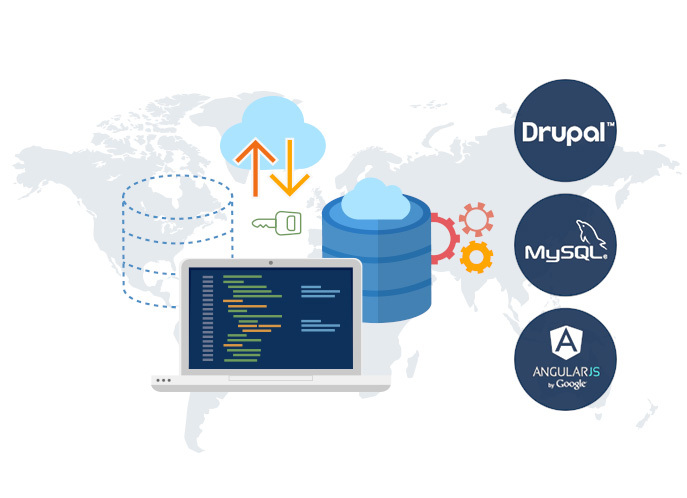 We build using the latest technological standars generating cutting-edge solutions to manage MySQL databases, Oracle and SQL Server. Our obsession is pure and clean code. Facebook native applications. 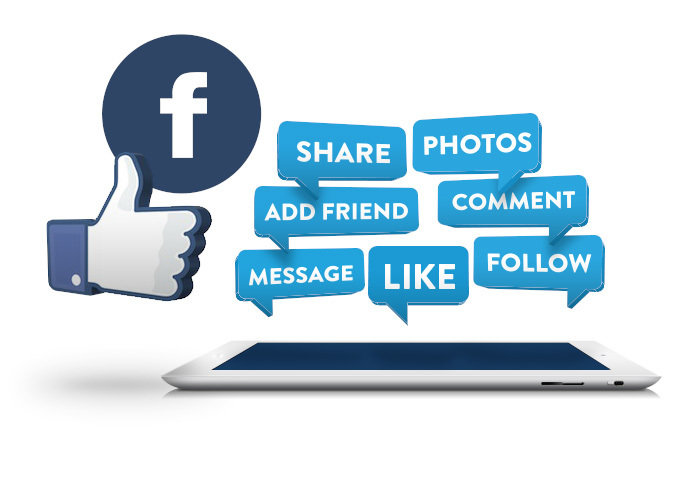 All technologies that make up a Facebook SDK, are available in applications on Facebook: Social Plugins, Open Graph API, Dialogue Platforms, Social Media Marketing, Community Management, Buzz Strategy and Viralization Strategies. 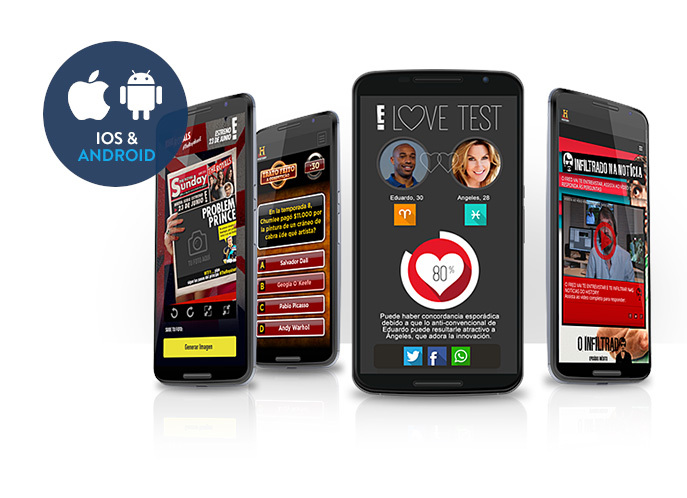 Our successful applications were developed for both platforms that are leading the market: android and IOs. We build native applications for Android SDK Java and Objective-C for iOS. We also develop web based and hybrid apps with PhoneGap and HTML5, testing and ensuring optimum performance before launch. Long before all browsers have made the plug in Flash obsolete, our team was already developping banners and animated responsive infographics in HTML5 and JQuery. 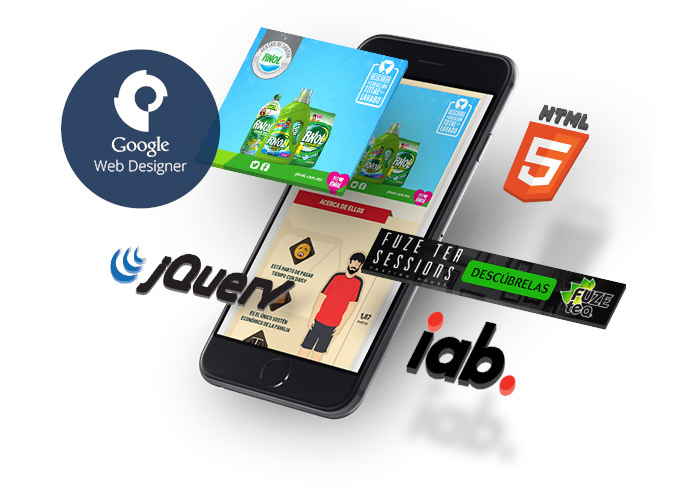 The market has changed, and the demand for these cutting-edge technologies mean that we are in constant training and experimentation for the development of rich media and mobile banners, often with platforms like Google Web Designer based on IAB standards.